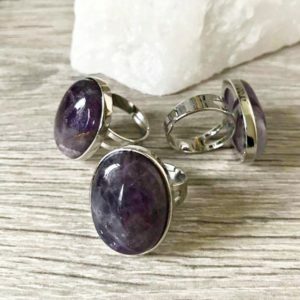 Amethyst Cocktail Ring on an adjustable band. Amethyst is said to bring peace and calm, its said to dispel fear and anxiety and help with insomnia. 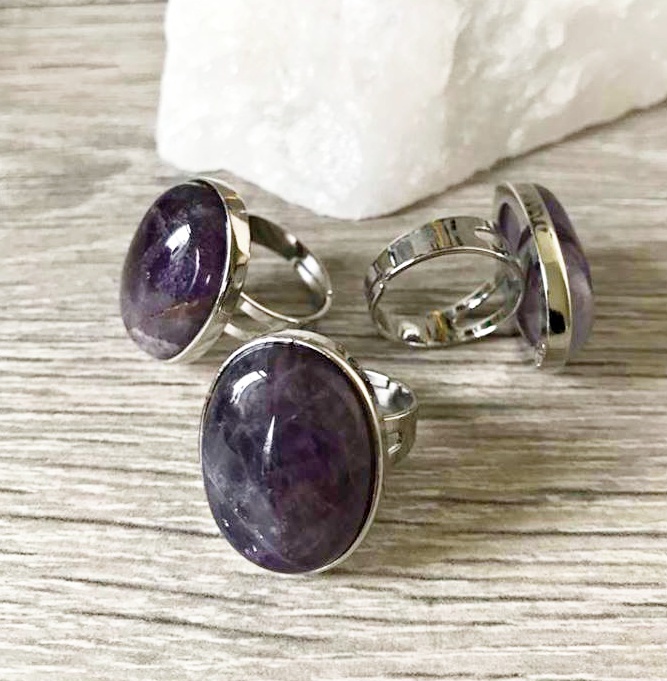 Amethyst birthstone February also November, planet Saturn purple-lilac in colour and energies power protection and healing. provides balance, peace, happiness, calm and patience. Beautiful… need I say more.